In 2015, the French team won the Monster Energy FIM Motocross of Nations with 14 points. This year, the team won with a score of 35. It was that kind of year. Every team had issues, and that left the fight for the final completely up for grabs. Here’s how it broke down. The Aussies actually led the points after moto two, but Hunter Lawrence powered a lot of that with strong 2-8 scores while riding MX2 on his new GEICO Honda CRF250R (he’s racing for that team in the U.S. next year). The team also had 14-10 scores from Kirk Gibbs and Mitchell Evans. It would be tough for the Aussie scores to hold up without Lawrence for race three—and then it went to hell when Gibbs got into a pileup moments into the race. He finished 33rd. Australia ended up fourth overall. Still, for a team not expected to contend, it was a strong day. The Spanish were in contention after the first two motos, but again that was because 2018 MX2 World Champion Jorge Prado was great on his 250F, winning the class overall with 3-3 scores. With Prado’s day over, moto three was tougher, and Carlos Campano and Jose Butron went 22-17. Spain ended up eighth. Anytime, anyplace, anywhere, the Belgians will be in contention to win this event. They were arguably the favorites by race three, because while they trailed Australia on points, they had strongman Clement Desalle on the gate. Desalle ended up in the same pileup as Australia’s Gibbs, though, and that unraveled into a 27th-place finish. Belgium ended up seventh overall. This is what the battle came down to. Throughout the third race, the points swung in favor of both teams, mostly hinging on a huge fight between Italy’s Antonio “Nine Time” Cairoli and Alessandro Lupino and France’s Gautier Paulin. These three swapped positions throughout the race, and with it, the overall team win. Italy was already in a hole since Cairoli went down in the first turn in race one (he rallied back to sixth), but the third moto really stings. 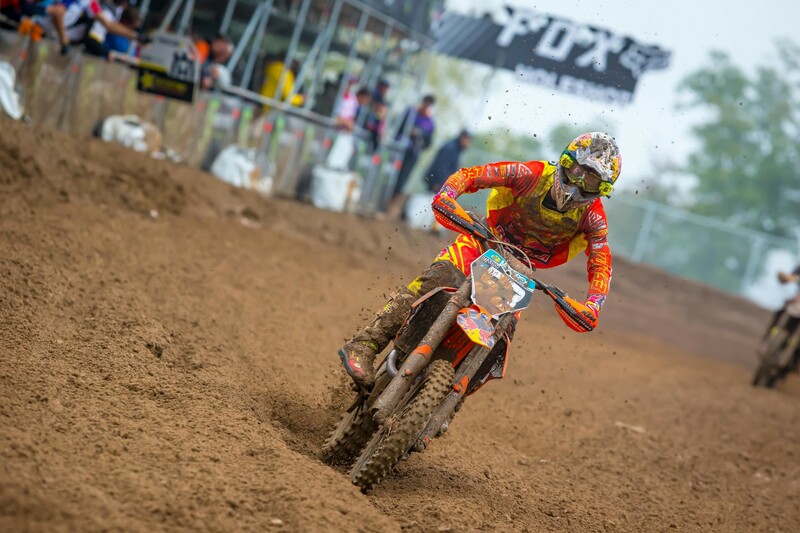 Cairoli got stuck in a deep, rutted corner, and Paulin made his move. Cairoli also described the third-race battle. 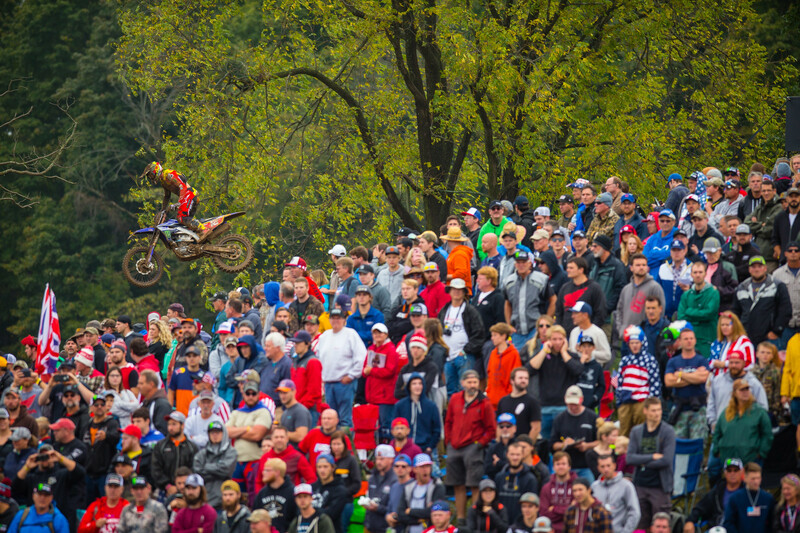 By the end of the race, the Dutch 1-2 punch of Glenn Coldenhoff and Jeffrey Herlings were long gone. 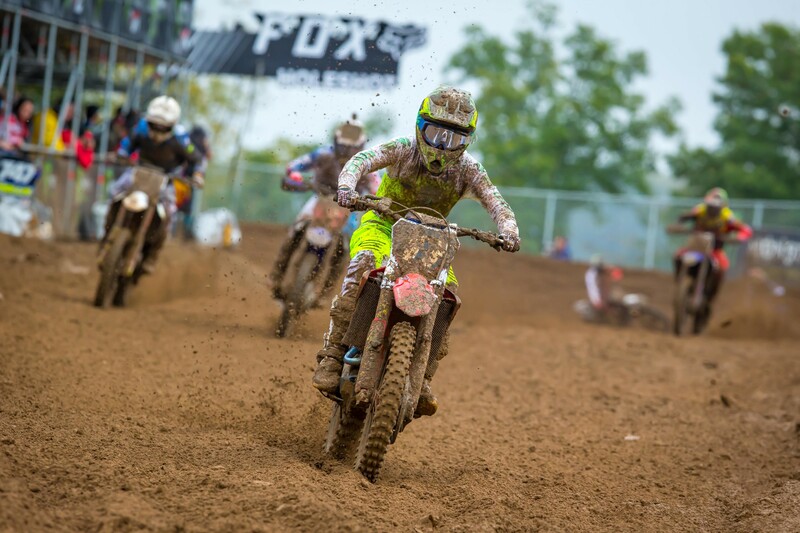 Paulin gritted out a third, besting both Cairoli and Lupino. That saved the French.